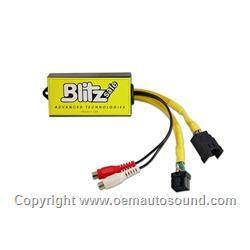 This auxiliary audio input interface will allow you to add in the audio from any external audio device such as an MP3 iPod iPhone Satellite radio or any portable audio device. It works for factory Ford Lincoln Mercury Radios with an external 6 disc CD changers This interface also allows you to retain the factory installed CD changer your direct digital clear audio can be added to the Ford radio without Fm modulation or FM transmitter this technology maintains full function of all Ford features built-in steering wheel and rear seat controls. check your factory Ford radio make sure your vehicle comes with the external CD changer in the trunk or center console before you pick the aux interface, You can change sources from the CD changer to the aux using the controls on the factory Radio,The volume and tone can be adjusted from the Radio.